The brilliant Ned Ryun recently appeared on FOX Business News with Maria Bartiromo to talk about his recent op-ed on the Mueller Report letdown. In short, Ryun believes that someone somewhere in the federal government’s law enforcement agencies needs to face the consequences of the malfeasance the government committed in the run-up to the 2016 election. The reality is that innocent American citizens were spied on, abused, mistreated, run through the mud, and persecuted by our DOJ, the FBI, and the NSA. Our system broke, and now someone needs to pay for breaking it. I see people writing opinion pieces saying we need to move on. People who are writing those things I think have basically decided they are giving up on the civil liberties of the American people and accepting the beginnings of a police state, and they’re really saying that we should accept the demise of our Republic. There needs to be a reckoning, there need to be consequences. These men, John Brenna, James Clapper, James Comey, Andrew McCabe massively abused the great trust and power they were given in how they targeted a candidate and then a sitting president of the United States. There need to be consequences. We need to say this is unacceptable. Not only for Republican presidents moving forward but for Democratic presidents as well. There have to be consequences. And for there to be a healing in this process, there have to be investigations. I think these people can be charged with crimes. To falsify FISA applications is a crime and there need to be consequences for that. We cannot simply allow the DOJ to sweep their malfeasance under the rug. 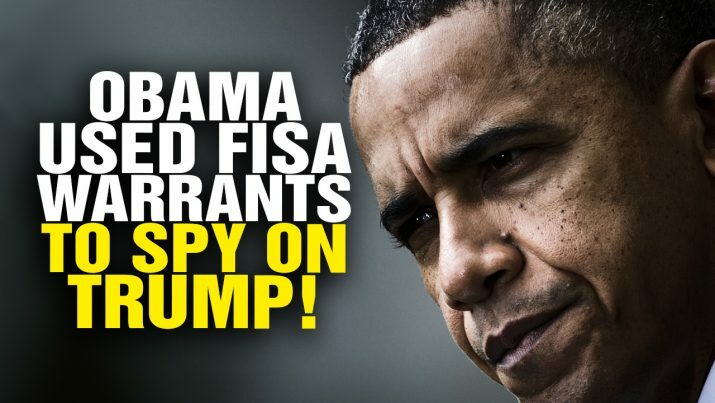 The reality is that someone spied on innocent Americans. Then someone ‘bent arms’ to try to get people in the Trump circle talking. When no crime could be found, they moved on to other more high-profile Trump supporters. They were allowed to do this by using trumped-up accusations that were created using ill-gotten information and criminally mishandled observations. Lessons from Captain Marvel; Conflating Trump with HitlerPresident Trump says "I'm Not Playing Games"